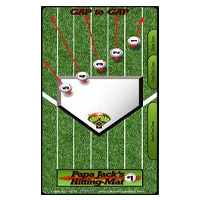 The hitting mat is made of rubber with a graphic overlay. 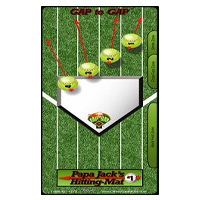 The mat is portable, easy to use, weather resistant, durable and affordable. It is approx 5ft long x 2ft wide x 1/4in thick. With Ron Jackson, former Boston Red Sox Hitting Coach, 2004 World Champions! Ron Jackson is making history as hitting coach for the Boston Red Sox. The Complete Guide To Bunting! 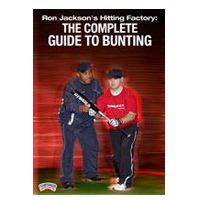 In this complete guide to bunting, hitting coach Ron Jackson shares all aspects of this "lost art" in the game of baseball. 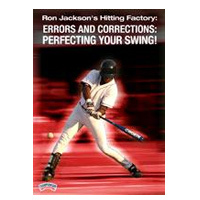 Errors and Corrections: Perfecting Your Swing! 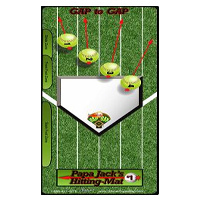 One of the keys to being a successful hitting coach is to identify hitting errors for an individual and replace them with corrections. 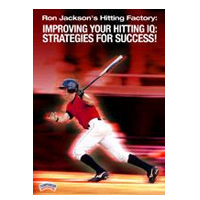 Improving Your Hitting IQ - Strategiers For Success! 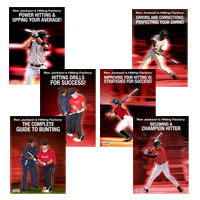 Develop a complete approach to hitting in this video with Ron Jackson, hitting coach of the world champion Boston Red Sox. 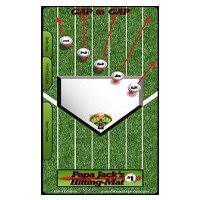 Power Hitting & Upping Your Average!